A year ago I created a webpage La Basse-Ville detailing British / Commonwealth troops involvement south of Messines in West Flanders, Belgium, in the period around 3rd Ypres in the summer of 1917. This also involved having a careful look at the CWGC data recorded of soldiers buried in the Bethleem Farm West Cemetery, about half a mile SE of Messines. There are 166 men from British, Australian, Canadian and New Zealand units buried there, and the details for one soldier - H. Brooksbank, service number 65997 - were rather sparse. There is a problem though; the date of his death. He was, supposedly, the first soldier to be buried in the Bethleem Farm West Cemetery, and it could be that the details on gravestone (photo above) and on the CWGC website are incorrect, it being more likely that his death occurred at the same time as Private Selwyn Lawrence	of the Machine Gun Corps 207th coy. buried in the adjacent C. 3. grave. Clicking on the Grave Ref. heading will sort the rows of data by their grave numbers, and scrolling down to C. 2. will show my reasoning. Does anyone have any further information? Well spotted on the date of death. After a quick check we have the following conflicting results from two sources. 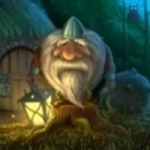 I will see if I can find any newspaper articles that report the death of Harold. Original CWGC paperwork shows the 23/7/17 (although the service number is incorrect). I wonder if this has been looked into further and a new date of death has been reported, and proven enough to be accepted by the CWGC. I think that your reasoning is well founded. If I hadn't gone looking for the missing details of Harold Brooksbank, this error on the headstone would probably never have been revealed. Thanks for all the good work you did so quickly - while I slept. Do you mind if I follow this up, noting the posts here, with CWGC. The MoD should probably be notified, as its possible the Regimental service no. 60997 is actually associated with its rightful owner, and that 17 Mar 1917 may be the date of that soldier's death. Most likely the CWGC would seek confirmation from the MoD in any case. I have just amended my post with regards to the newspaper report as I had inadvertently posted the date as the 8/3/17 instead of the 3/8/17. Just shows how easily these mistakes happen if not double checked. I've done a transcription of the Eccles and Patricroft Journal, 3/08/1917, and managed to decipher everything except the first word in the last line. Was expecting "Somme", but it doesn't look like that; may be Bapaume? Can you see it any better than I can? I'll add the transcript here when I get that word settled. Now we have another date of death difference. From the Eccles and Patricroft Journal. All sources give date of death of Frederick George Brooksbank as the 2/7/16 except the Soldiers' Effects which shows "1/2.7.16"
The transcription promised above is posted below, along with one for F.G. Brooksbank. With regard to Pte. 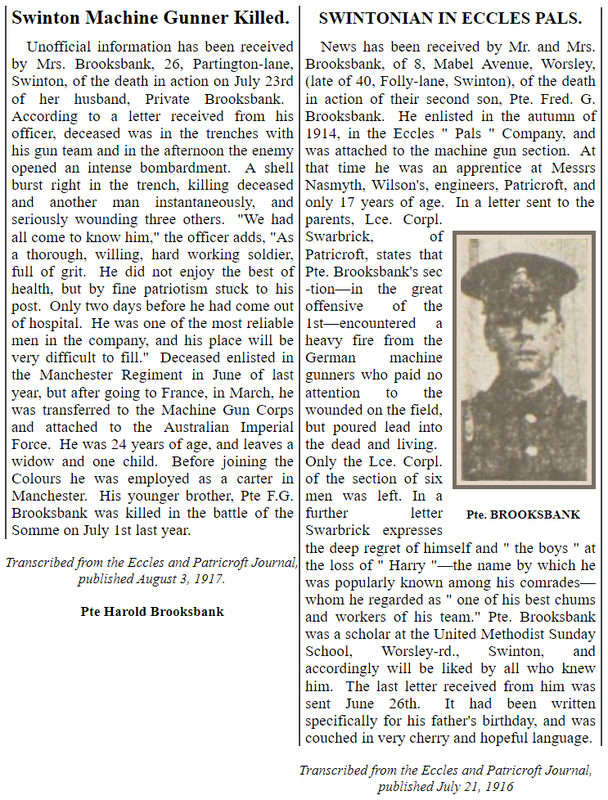 Harold Brooksbank's younger brother, Pte. F.G. Brooksbank; perhaps he died on the 1st and his body was recovered overnight, documented, and the date got recorded as July 2nd, 1916. Going off track slightly but this is information about Frederick George Brooksbank from our draft book "Devil's Own"
"It was also reported that the bodies of some of the July casualties had been found and recovered from land ‘now in British posession’, all, with the exception of Private Wakefield who was killed on 1st July, were killed on the 2nd July. They were Lance Corporal Bateman, Privates Routledge, Potts, Wakefield, Murden and Brooksbank." From the Eccles Journal. Note: None of the above men have a known grave and it is therefore presumed their graves were lost in later fighting. BROOKSBANK, Frederick George. Pte 11703. B Company. Only the lance corporal of the section of six men was left. Fred was popularly known as ‘Harry’ by his comrades. 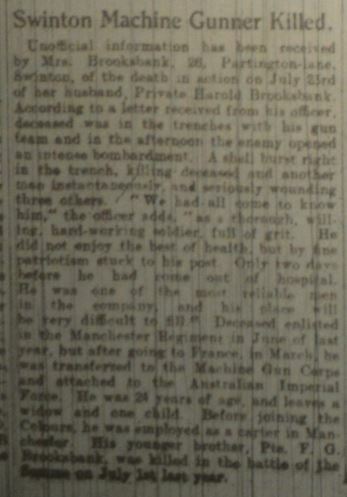 His last letter home was dated June 16th, 1916 wishing his father a happy birthday. Eccles Journal & Photo 21/07/16 & 06/10/16. I added my dual transcriptions of the Eccles and Patricroft Journal to the post preceding yours. I did note that I had transcribed the date of Fred's last letter home as June 26th, as opposed to your 16th. Also noted the reference to "John was a scholar at the United Methodist Sunday School, Worsley road, Swinton", and suspect it is a typo, and the reference was to Frederick George - AKA "Harry". What particular date belongs with my transcription re Frederick George Brooksbank? Thanks for the date, which has been added to the transcription. I've also noticed that the military records give Harold Brooksbank's wife's name as Emma. Doing some checks on BMD data and Census records show that Mrs Brooksbank was Emily Buckley, and their child was named Miriam. 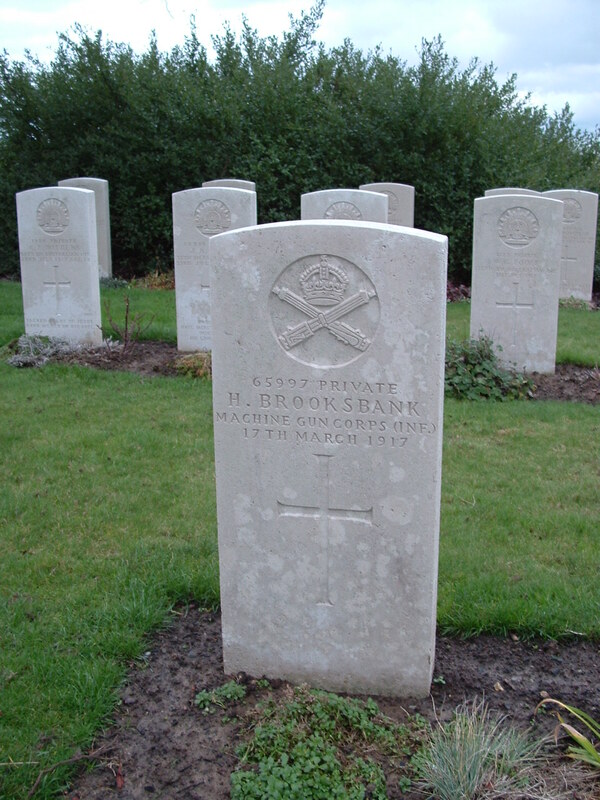 Harold managed to add a couple of years to his age, and it shows up in the marriage registry and the age recorded by CWGC on his death. I had a look at this older data so that it could be added to the request to the CWGC for them to reconsider the current headstone date. The initial grave markers were wooden crosses, and I suspect the date on the H. BROOKSBANK cross was originally correct. The process used when changing out the crosses for the standardized headstones, is probably where the error occurred. While looking through older stuff, I found that the marriage of Harold and Frederick George's parents was recorded at the GRO as BROCKLEBANK. It was good fortune that the William & Elizabeth Alice [Thomason] BROOKSBANK family including their three sons were found in the 1901 census at Elizabeth Alice's parents place, confirming I had the right couple. Will post here again when I've had a response from the CWGC. Last Edit: Nov 21, 2018 19:05:52 GMT by kiwikousin: changed 'Emily Thomason' to 'Emily Buckley', - another case of not checking!